Mark, Peter and Erika from the Magic Cupboard Interactive team joined 4,000 attendees at the Randwick Racecourse in Sydney for Australia's largest Startup & Growth Conference- StartCon 2017! 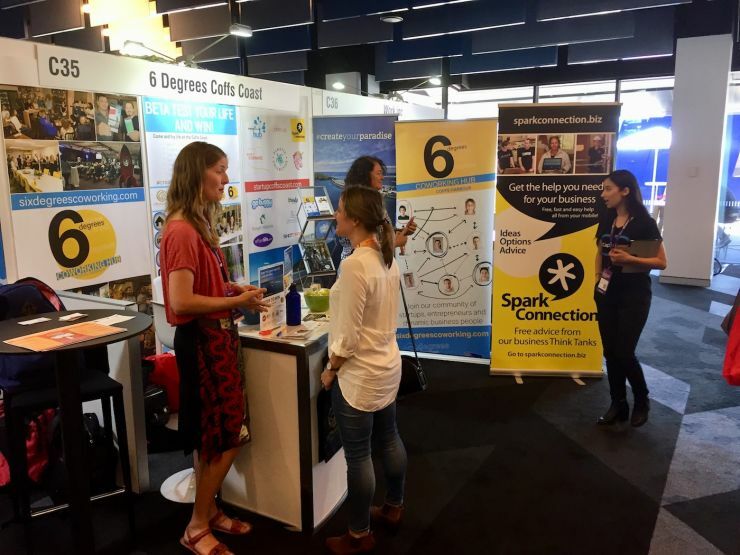 We were part of the 6 Degrees Co-Working Hub stand sponsored by Coffs Harbour City Council, promoting the benefits of working from the Coffs Coast- NBN fibre to the home, the airport and the great work-life balance! We joined Bonnie, Fiona and Nicole from CHCC, Tony from the Coffs Innovation Centre and our Coffs Coast Startup friends- including Louise from Plastic Collective and Karen from Shop-it Forward- to help spruik the advantages of working from the Coffs Coast and of course promote Spark*Connection! Over the two days we listened to excellent international keynote speakers from big corporates (Google, Microsoft and Atlassian) and the current rising stars of the tech Startup world, gaining great insights and strategies for our own social enterprise Startup Spark*Connection. And we cheered along our friend Louise Hardman from Plastic Collective, who pitched her 'Shruder' portable plastic recycling machine that is taking on the world to clean up plastic waste in the Pacific, making it to the semi-finals and 7th place, and first out of the female entrepreneurs! 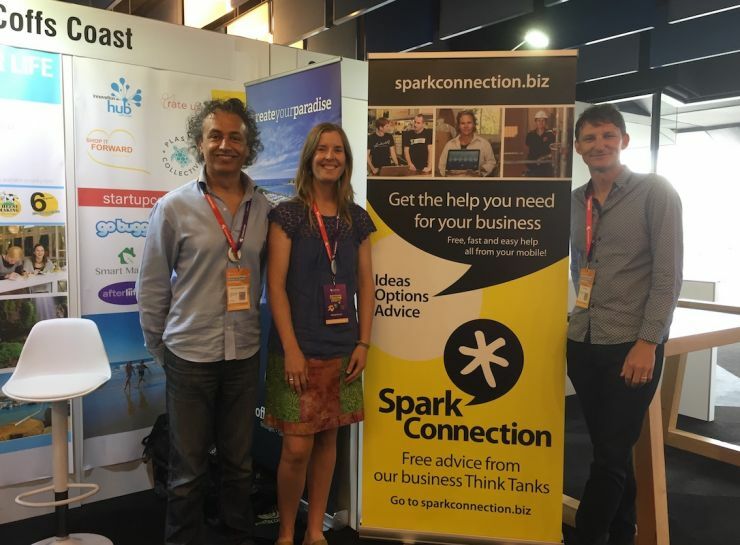 Louise was one of our first businesses to test our Spark*Connection business Think Tank service and was so happy with the advice she received that she is on our Spark*Connection.biz website and our bright new banner!